From Wikipdeia: Honey bees (or honeybees) are a subset of bees in the genus Apis, primarily distinguished by the production and storage of honey and the construction of perennial, colonial nests out of wax. Honey bees are the only extant members of the tribe Apini, all in the genus Apis. Currently, there are only seven recognised species of honey bee with a total of 44 subspecies, though historically, anywhere from six to eleven species have been recognised. 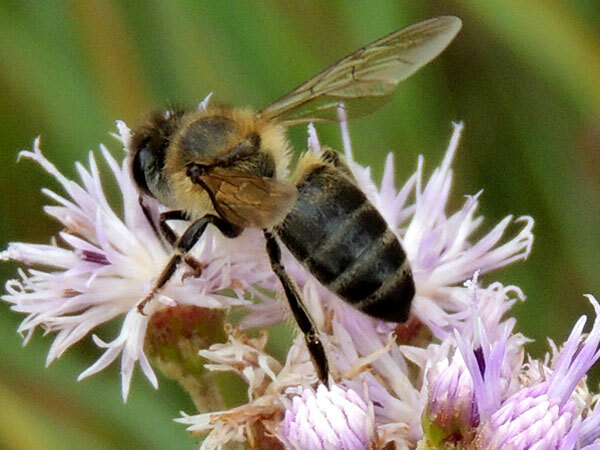 Honey bees represent only a small fraction of the approximately 20,000 known species of bees. Some other types of related bees produce and store honey, but only members of the genus Apis are true honey bees. 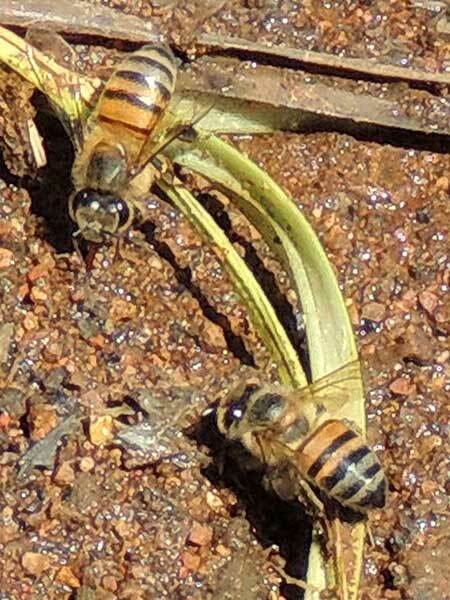 These more coloful bees are fetching water which may be used for evaporative cooling the hive. Eldoret, Kenya. Dec. 2015. 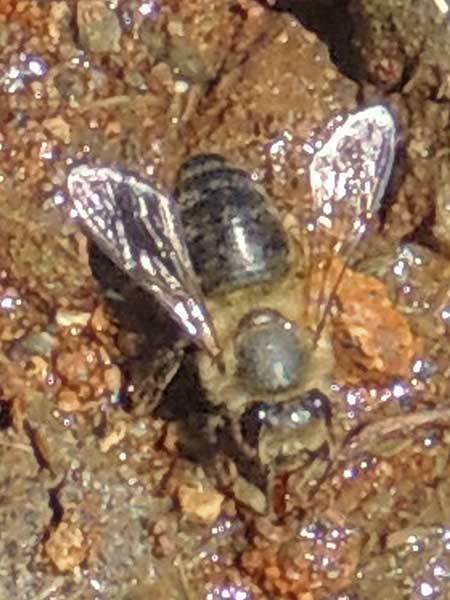 The bee with very dark abdomen (A. m. scutellata?) at left was at the same location.